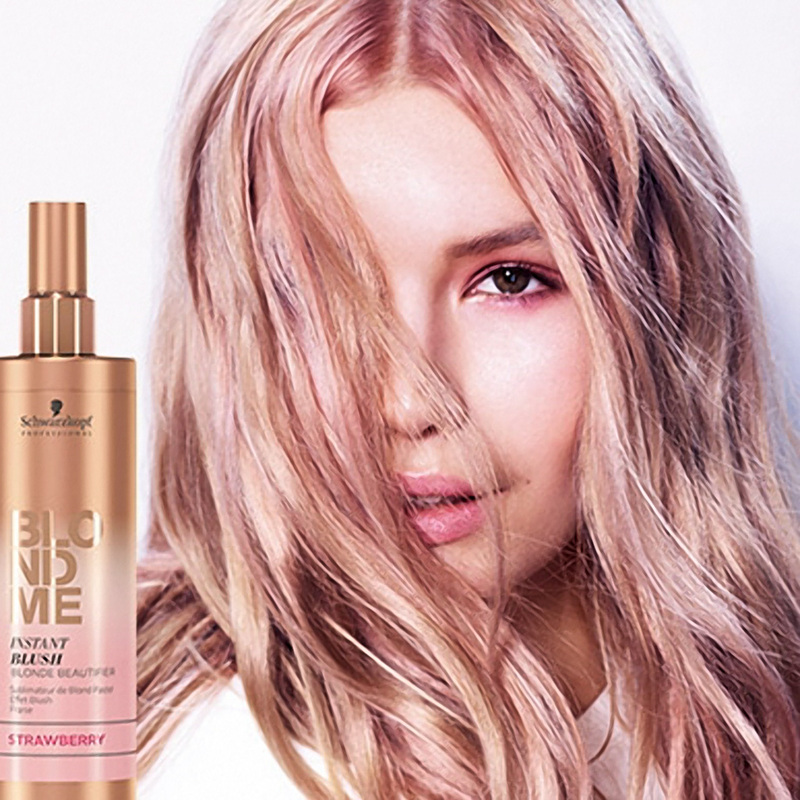 Schwarzkopf have brought out two fantastic new lines within their BlondMe range: BlondMe Blush Wash and Instant Blush. Instant Blush sprays came into the salon a few months back and have proven a really popular way to temporarily adapt the tone of your blonde hair. The BlondMe range expanded a few weeks back with the introduction of their new Blush Washes. These come in a variety of pastel shades that can also transform your blonde hair. Whether it be for a festival or you just fancy adding abit of something extra to your look. These products are super-easy to use at home too! For a softer look spray into towel dried hair and blow dry in. This will give a elegant soft pastel effect. For something a bit bolder try taking section and spraying on dry hair and blow drying in. This will create a more vivid look while still creating a soft pale effect. The Blush Wash is a sulfate free pigmented cleanser. It softly tones while cleansing the hair in one simple step. For a softer effect to either top up what we've already created or just to add a pastel hue; shampoo your hair with the blush wash and leave for one minute then rinse. For more striking look shampoo and leave for five or more minutes then rinse. If you think a new pastel tone would liven up your blonde hair then ask one of us which one is most suited for you! Come in for a consultation or ask your stylist next time you're in to get your hair done!